Our Company Now installing a brighter, cleaner future. All Energy Solar is a trusted leader in the solar energy industry. We provide clean, green, solar energy solutions for residential, commercial, agricultural, and government clients. Our team of industry professionals have been focused on providing long term, trusted relationships since 2009. 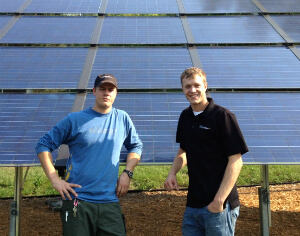 Our industry experience allows us to confidently handle every aspect of the solar process. From initial energy analysis and concepts, engineering and design, construction, and monitoring, our team prides itself on being experts in all aspects in our field. All Energy Solar is one of the few full service solar energy companies that is licensed as a building contractor as well as an electrical contractor. 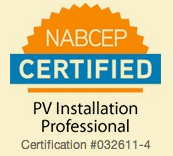 We are also NABCEP certified (North American Board of Certified Electrical Practitioners), the highest technical certification for solar photovoltaic installers and engineers. The experience that comes with these licenses and certifications allows us to deliver full turnkey solar energy solutions with known and proven results. Take comfort in knowing that your solar project will be designed and built to the highest industry engineering standards. Our advanced monitoring system provided to every customer, gives them access to real time solar output, verifying that the system is performing at optimal efficiency while providing the highest financial return. To design and build energy systems specialized for each individual customer. Provide the highest quality customer service for an unparalleled customer experience. Ensure a healthy, exciting, and innovative environment for our working professionals.